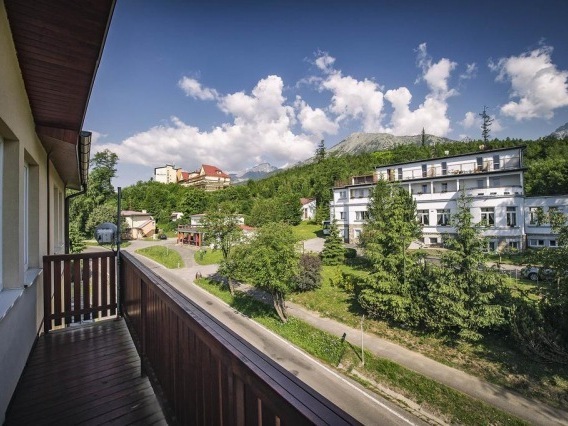 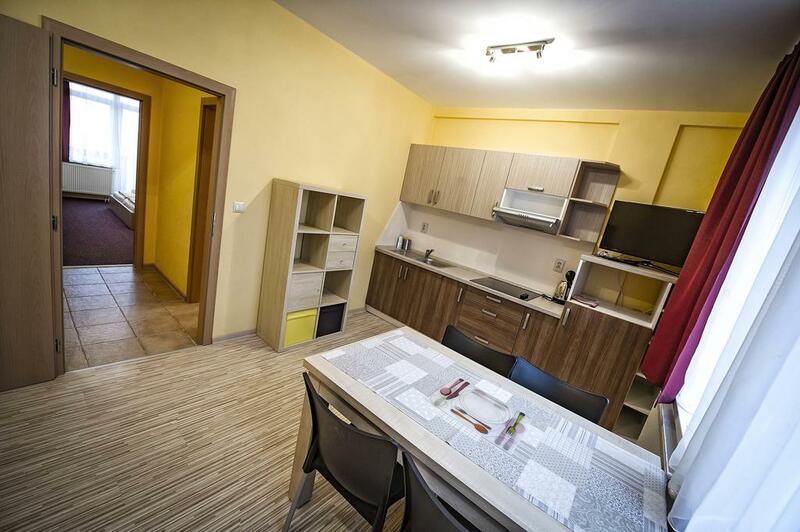 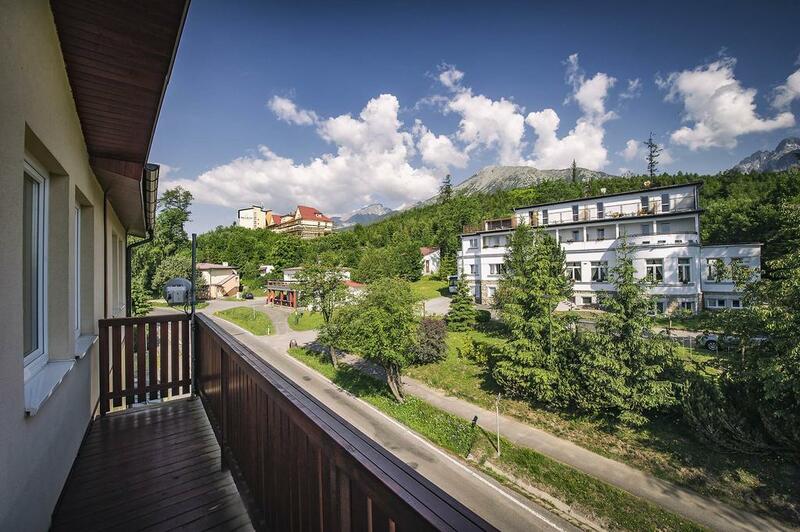 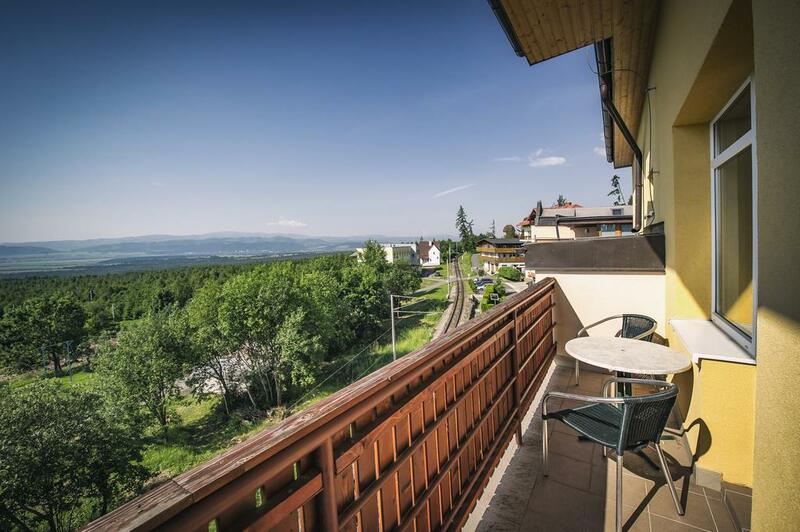 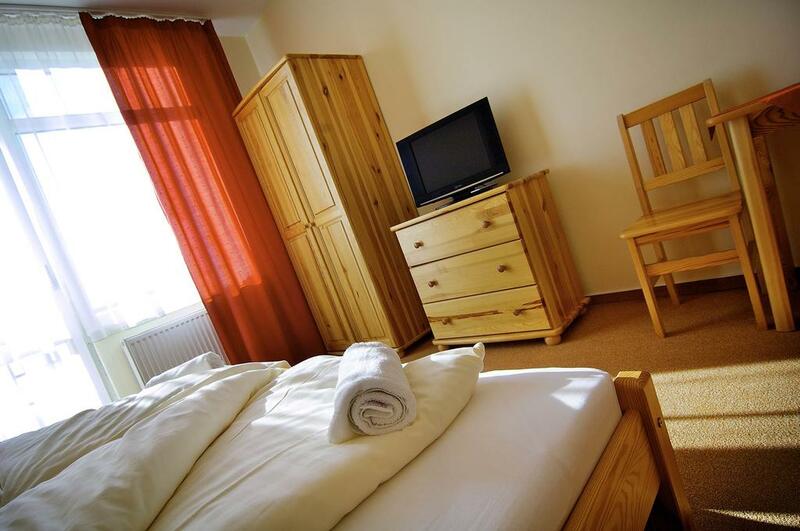 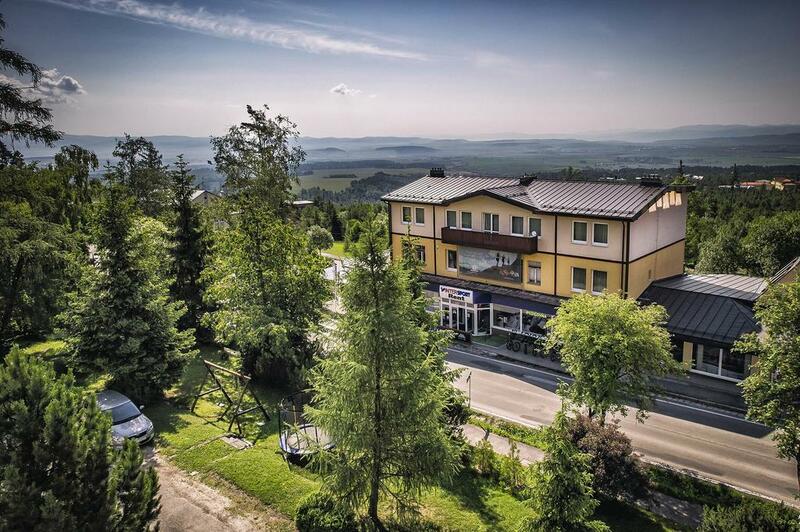 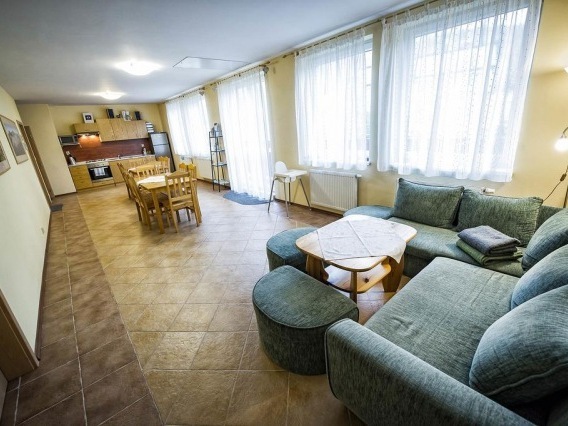 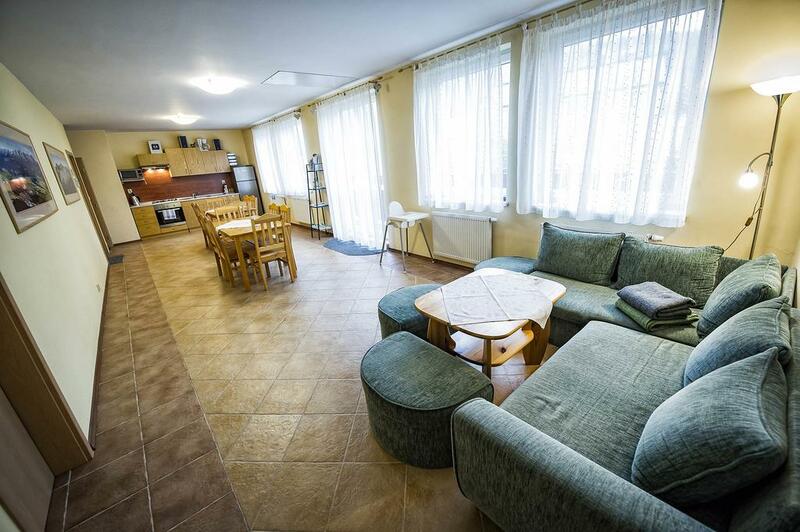 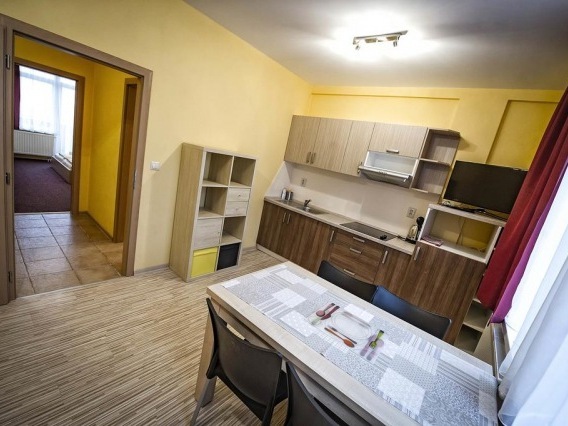 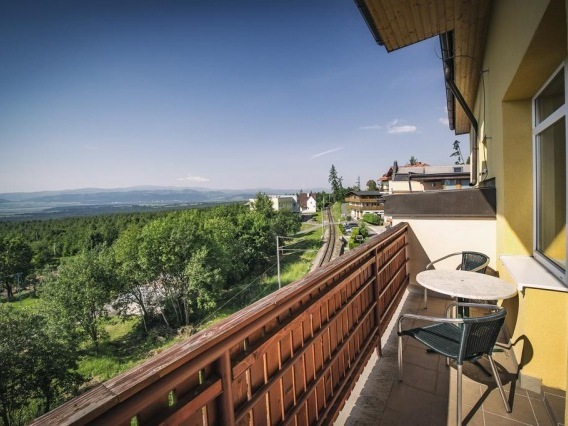 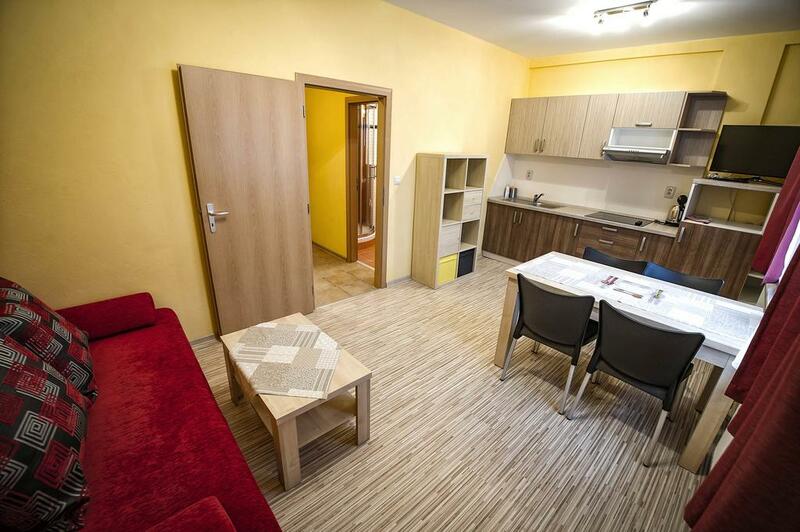 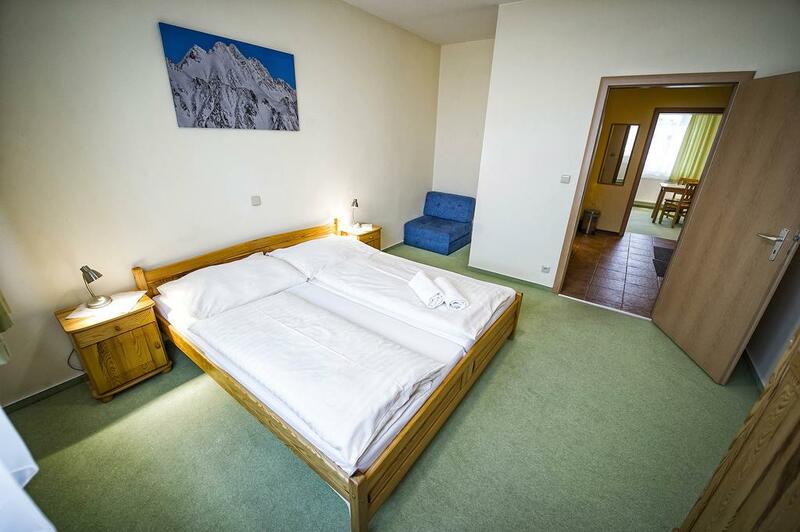 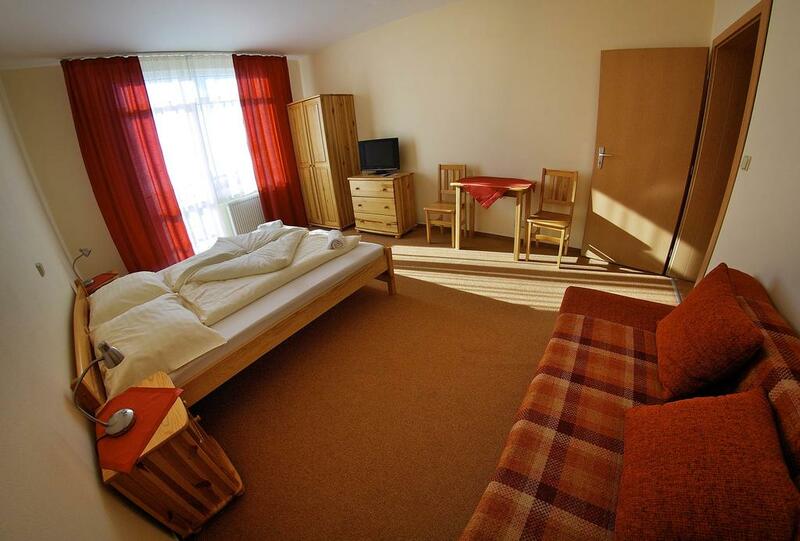 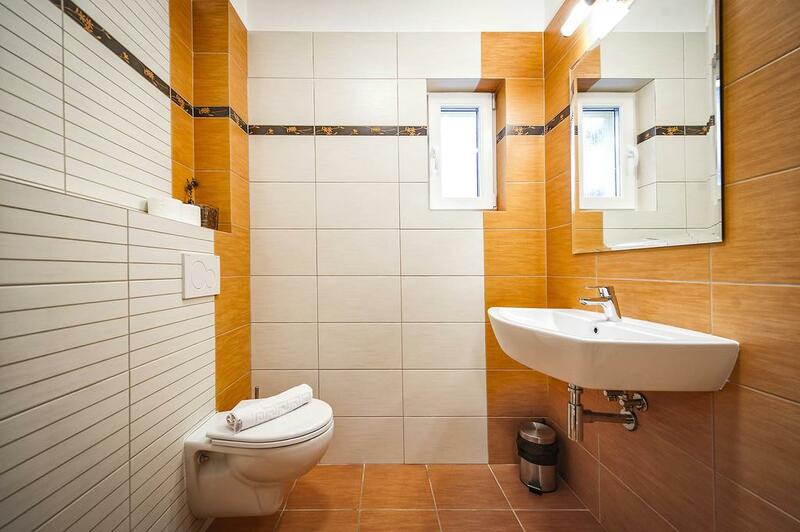 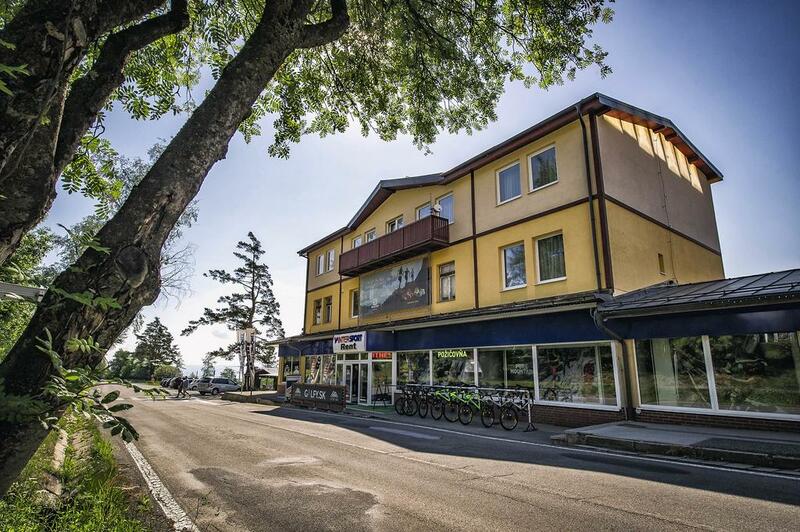 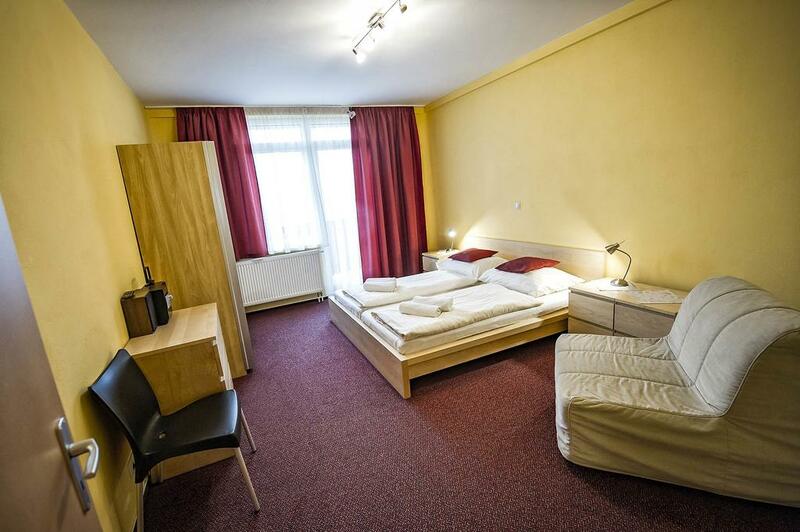 The apartment is located on the second floor of a sports center building in Horní Smokovec. 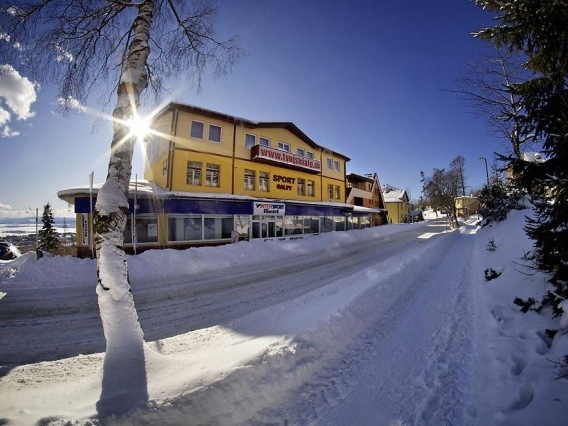 The building is newly reconstructed (open in 2009). 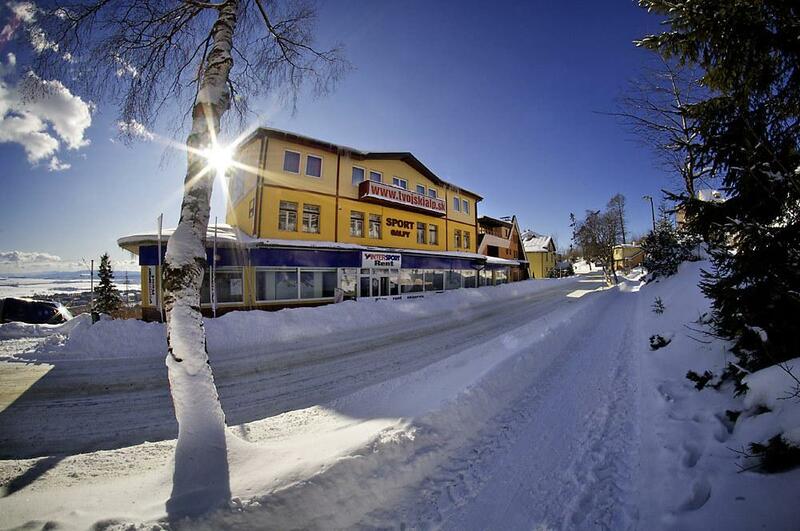 The bus and tram stop "Nice View" is right next to the building. 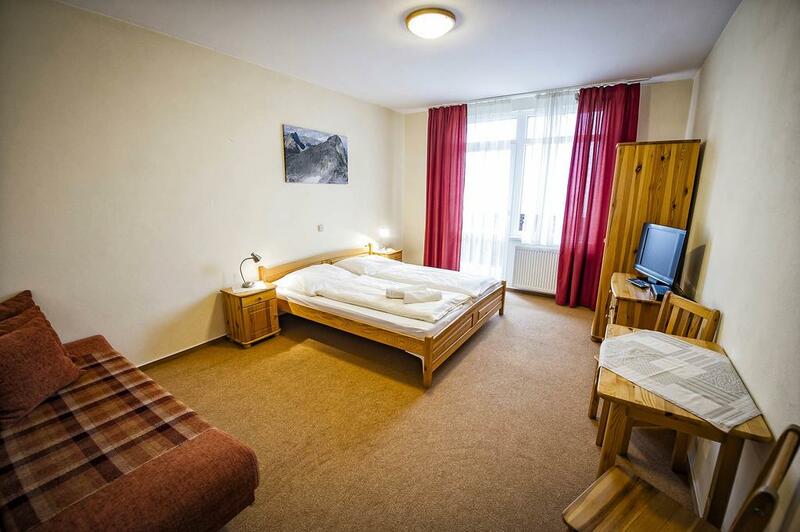 1 single room: with TV-SAT and en suite bathroom (washbasin, shower stall, WC) (1/2), lounge with large balcony, seating area and fully equipped kitchen (gas stove with electric hob , fridge / freezer, microwave, electric kettle, 2 dining table). 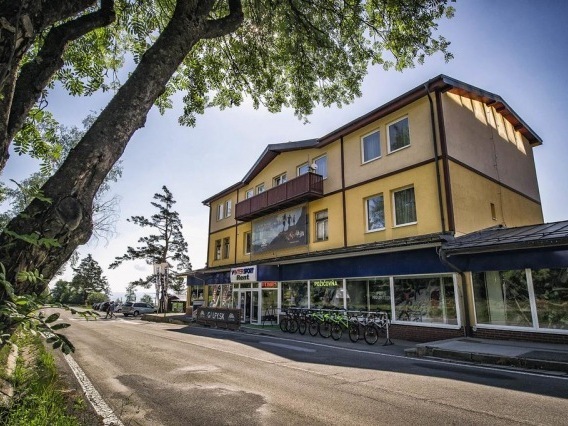 - there is a rental of skis, snowboards and ski-kits in the building.